This is a rare occurrence. I don't normally have campfires as I have no way to carry the wood. 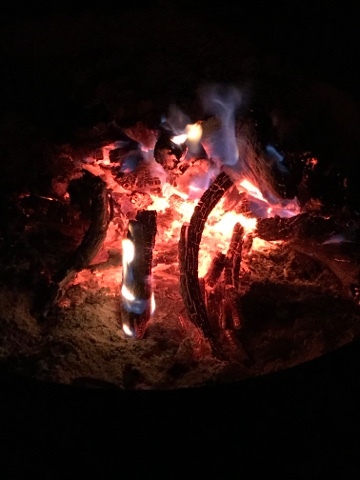 At Pena Blanca Campground I found firewood in the adjacent wash. 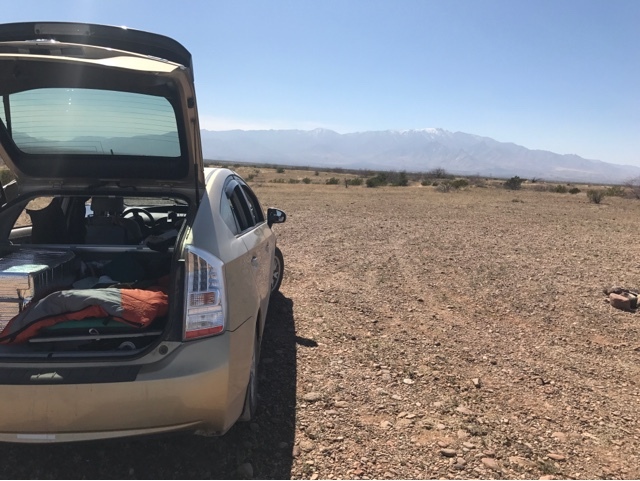 The campground at Pena Blanca has limited AT&T service with cell amplifier and no Verizon service. Good cell service can be found by driving up the hill at the boat launch parking area. 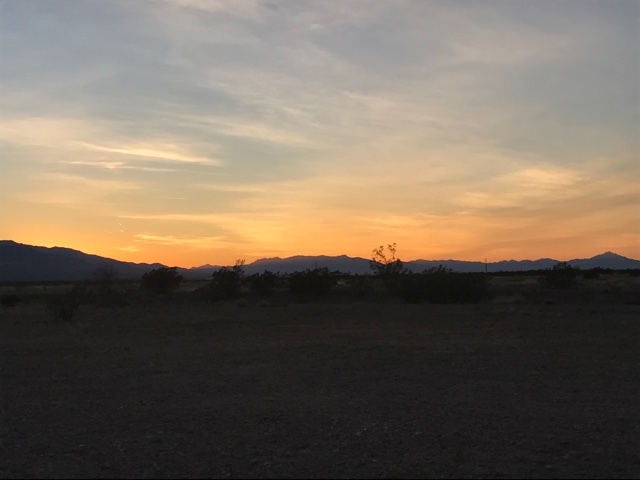 It also provided a wonderful sunrise as the campground is in the valley and sunrise is obscured by the hills. 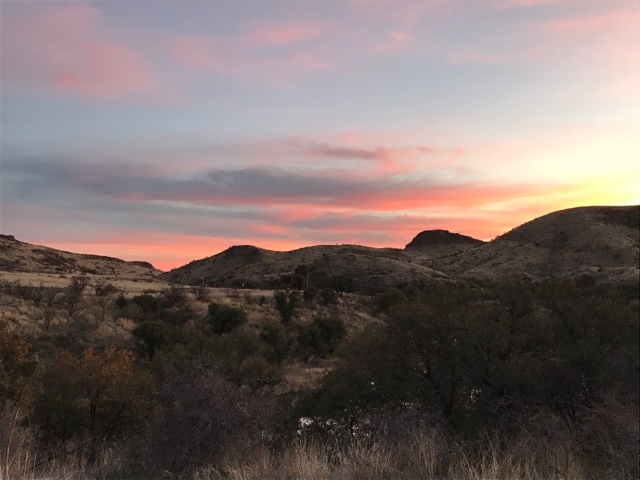 I headed out Sunday morning for a night at the Safford, AZ BLM land to put me closer to drive north to St Johns, AZ Monday morning to research a piece of land. A vandweller friend's mother owns the land but has never seen it and couldn't tell me how to get there. Tomorrow I follow the paper trail and physically get to see and take pictures of the land she owns. 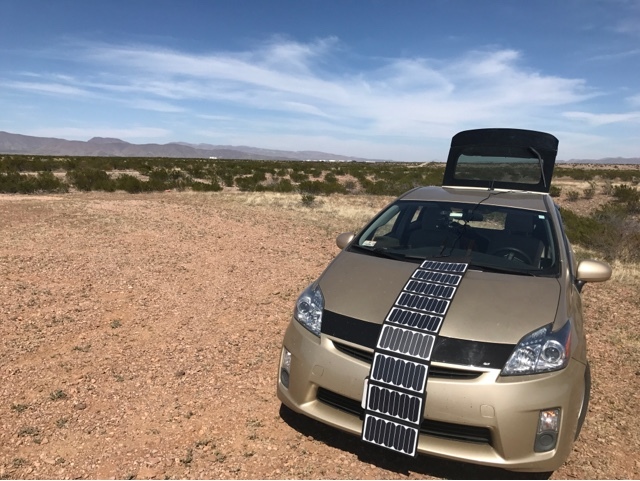 My car is faced west to use solar to charge my house battery. The rear of the Prius faces east to block the hot sun rays in the afternoon. As the sun set it treated me with this orange sky. Shortly after sunset the full moon rose over the mountains to the east. 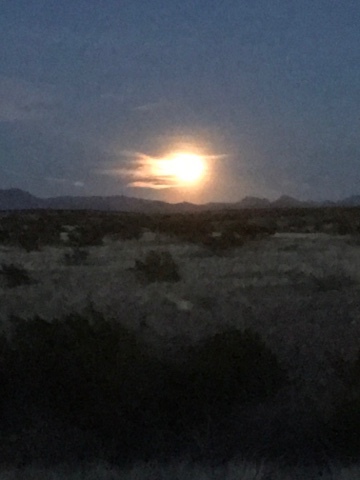 It provided a bright desert all night long.